PURE architecture Studio, LLC is a progressive design firm that truly believes in "green" design. This can be traced to the founder’s education in environmental design with an emphasis in Architecture at the University of Colorado in Boulder. Boulder has a long history of being energy and environmentally aware and requiring any new construction to meet their stringent standards. These concepts along with designing your project to fit into its surroundings come natural to the design team. We look forward to working with you on your next exciting project. The Custom House LLC, it is our passion to create great works of Architecture embodying the warm comfortable envelope called “Home”. We believe that a professionally designed home is the cornerstone of the American Dream. The American lifestyle has changed significantly over the last century and so too has the American Home. 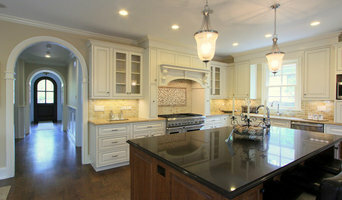 Kitchens have evolved from small back of the house rooms to become focal points and entertainment centers. Bathrooms no longer serve simple utilitarian roles but rather have become a showplace of comfort and luxury. Rigid formal planning has given way to informal casual flow. Specialized equipment and electronics condition our environment and entertain our senses. Yet, the simple values and familiar images of the past reassure our souls and calm our spirit. The traditional architectural style represented here at The Custom House LLC, harkens back to that simpler time, a time of cozy front porches and a neighborly chat across a white picket fence. Each home style has been thoroughly researched and painstakingly detailed to authentically replicate homes of a century ago with modern amenities and up to date plans. As Architect Frank Lloyd Wright once said “Think as I have thought, don’t do as I have done!”, at The Custom House LLC we strive to provide honest designs in the spirit of the original style. We believe it takes more than a low hipped roof and a wide overhang to make a true Prairie home. Each style has it’s unique massing, detail and organization making it special. Alpine Design & Inspections was founded in 1996 by Robert Bosko Plechas with the objective of providing the best engineering services in and around South East Wisconsin. Even years later, our company still stands behind this claim. All Alpine Design & Inspections employees strictly believe in our motto: The more challenging the work, the more motivated we are. We consistently work on improving our service so that we can find the best solution for our customers. Regardless of whether you need a detailed plan for a building, remodeling design, upgrade an existing building: Alpine Design & Inspections is your reliable partner for all your structural and Architectural engineering needs. Our many years of experience in this industry have provided us with many long-term business relationships which we continuously cultivate. Due to these good relationships and our desire to meet the needs of our clients, Alpine Design & Inspections is continuously striving to improve our performance to get the results that are expected by our clients. We are dedicated to be certain that you get the results that you expect. PHILLIP KATZ PROJECT DEVELOPMENT LLC (PKPD) has been offering professional design and management services since 1999. Under the direction of owner Phillip Katz the company has grown into a full service design, project management, and development practice. The firm has delivered services to a diverse group of clients ranging from residential, commercial, liturgical, industrial, educational, hospitality, corporate, and mixed use developments. 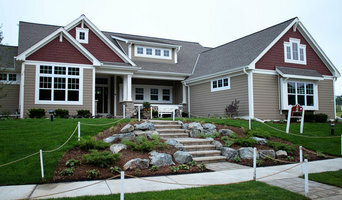 Van Loon & Associates, Inc.
Thoughtful Renovations - Respectful Additions - Fine New Homes. Residential design studio and construction management company specializing in the high-end new home and remodeling market in southeastern Wisconsin and Door County areas.